Remember how much fun it was watching snow fall outside the classroom windows and then playing in the snow at recess? Oh, to feel that joy again! The Koats4Kids project does just that! 2016 marks the 5th year that children attending 17 elementary schools in Waterloo, Cedar Falls, Evansdale, Elk Run, Dunkerton, Hudson and LaPorte City have received warm weather gear, such as coats, hats, gloves, scarves, snow pants and boots. More than, 2118 coats and 859 boots have been shared since our beginning! Your donation supports a needy population of youth that might not otherwise feel the warmth of a new coat. In schools served by the Koats4Kids program, 41.8% of the children qualify for free or reduced lunch (guidelines established by US Department of Agriculture and adjusted annually). Your donation supports about 20% of these children. Working in concert with other local coat projects such as the Waterloo Downtown Rotary’s “Operation Warm”, a team of school staff including teachers, family support workers, principals, and counselors identify kids most in need. We know that lifting this financial burden from low-income families allows limited resources to be distributed to other basic human needs such as food, shelter, transportation, and health care. Fundraising begins in earnest in the fall, as Iowa temperatures begin to nose-dive. Hundreds of individual donations ranging from $10 to $100 or more, together with corporate donations and local granting agencies, form the bulk of our support. Every donated dollar is spent on clothing items….and “s-t-r-e-t-c-h” is what we do! Organizers have become very savvy shoppers, as local retailers and on-line purchases allow us to maximize your donated dollars! We purchase inventory as money flows into our coffers – and many volunteers help with distribution, usually the first week of December (this year, just in time for the first winter blast of the year!). Volunteers enjoy many heartwarming experiences helping kids pick out a coat — like the huge smile as each chooses a colorful scarf and matching hat and gloves or bouncing down the hallway back to their classroom! 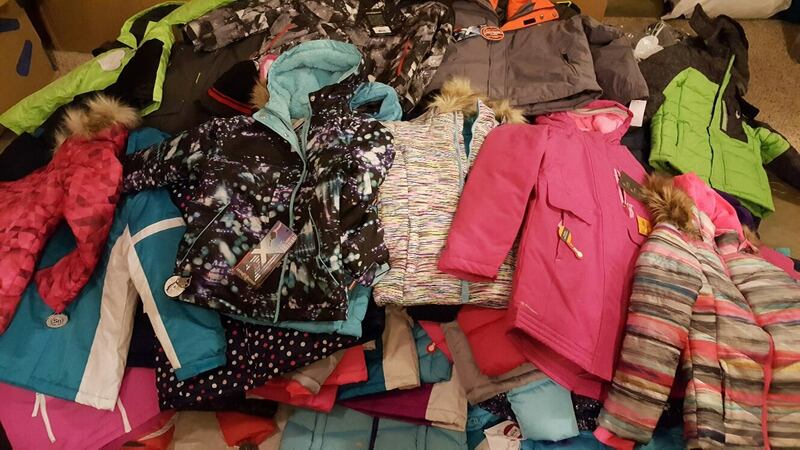 Families report being grateful for the coats and often express their gratitude. One parent that had received a warm coat for her child mentioned that her 18-month old baby needed a snow suit and Koats4Kids supplied the infant with a brand new snow suit and hat. The joy on the mother’s face was priceless. A Waterloo family support worker explained how a student drew a picture of herself with the coat on and boots. She wrote, “now I am able to come to school nice and warm and dry.” To listen to her explain the picture and see the tears were lasting memories for me. Another family support worker shared that she had thirty-three homeless families with children attending her school which is the most she has ever worked with in her 25+ year career. All the homeless children received a coat. To help our middle school children ages 12 – 14 with their winter wear items. To volunteer or to learn more, contact Koats4Kids at juliea58@mchsi.com, or join us at: www.facebook.com/koats4kidswaterloo.